Applicable for Option 4 ONLY: One full body scrub before your first tanning session! Rejuvenates the skin, leaving skin soft and helping your tan last longer! La Cremerie products are used: Grapes for brightening, hydration & toning or Pomegranate & Kiwi for a strongly nourished, drained & firmed skin. NOTE: Sessions could be split and used according to your skin needs for Options 3, 4 and 5. Get your healthy boost of Vitamin D with advanced and controlled tanning! 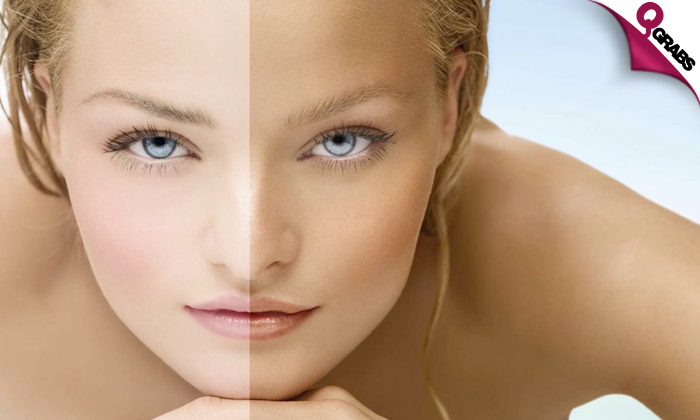 Tanning lotion is required for each session and can be purchased at La Donna Beauty Salon which provides a wide range to get the exact benefits you want. A vertical tanning booth literally tans from top to toe with ease; No white areas caused by pressure points. Get a summer-ready body for up to 69% off! Come and experience La Donna Spa & Beauty Lounge. It shall be an experience you will never forget!